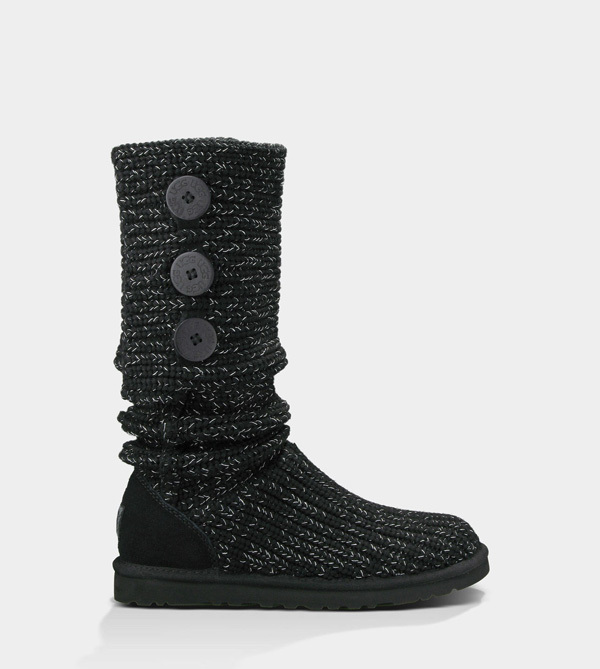 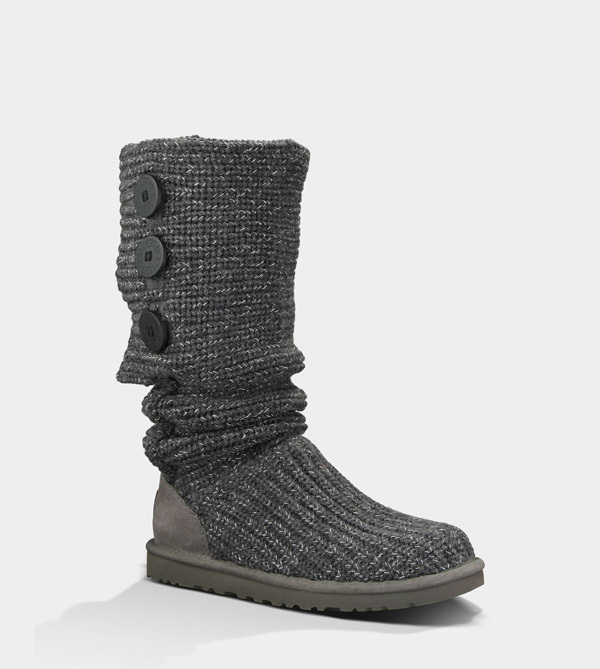 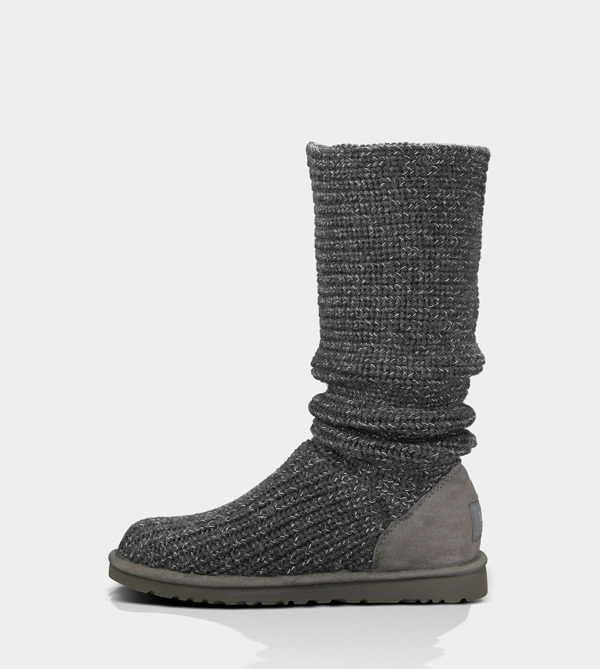 The womens UGG Classic Cardy is a heathered merino wool blend boot made to look like your favorite sweater. Three wooden buttons etched with the signature UGG logo allow this boot to be one of our most versatile styles. 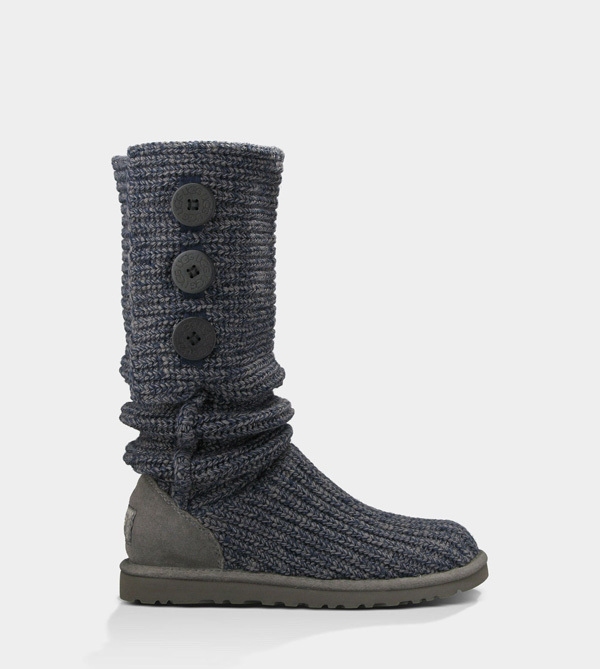 Slouch the boot down, cuff it all the way over or wear it all the way up. 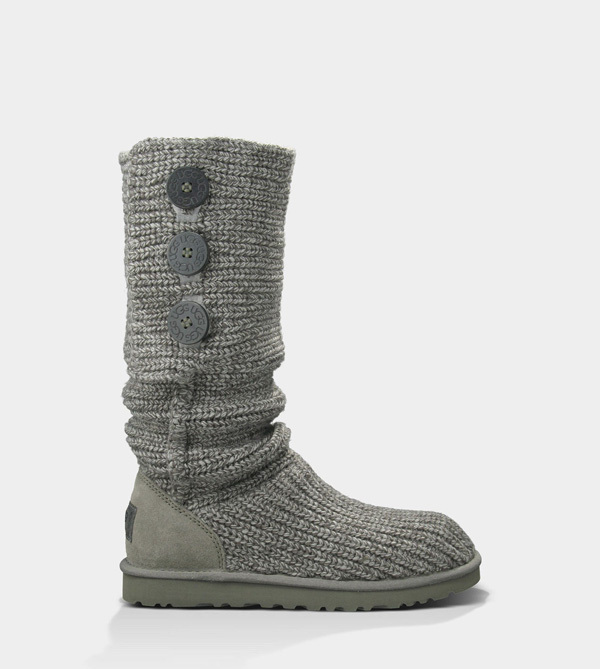 All boots in our Classic Collection feature a soft foam insole covered with genuine sheepskin and have a molded EVA light and flexible outsole designed for amazing comfort with every step. 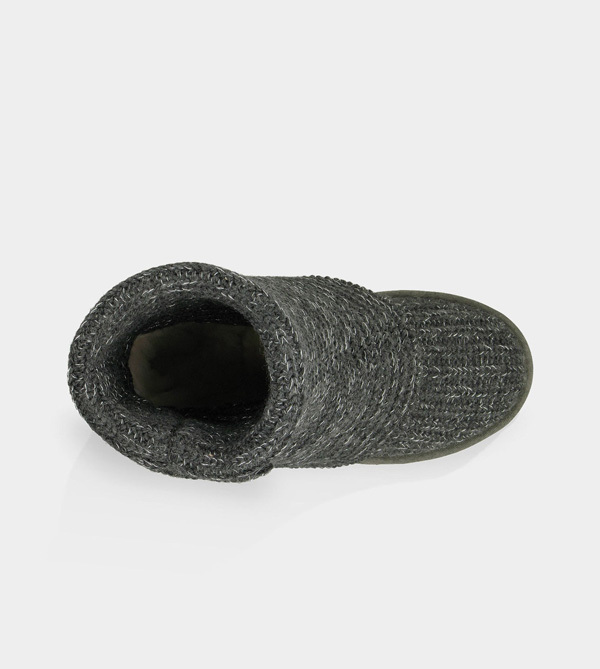 The Cardy contains materials that are not waterproof. 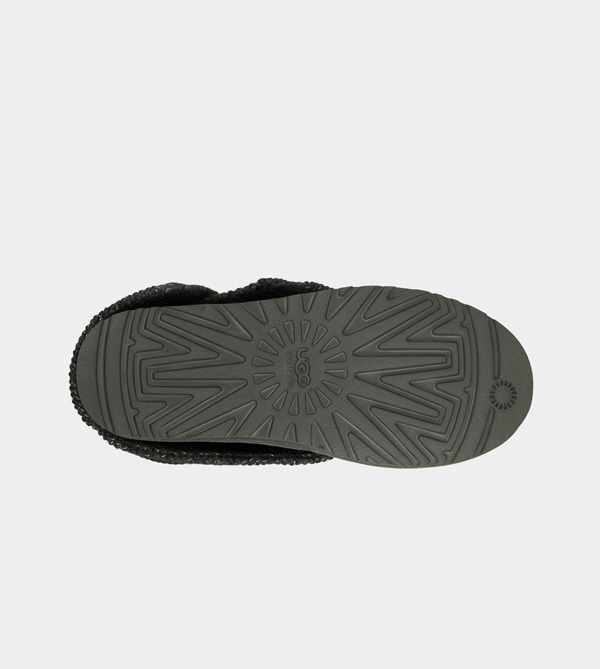 Molded EVA with a patented decign that is lightweight and flexible. 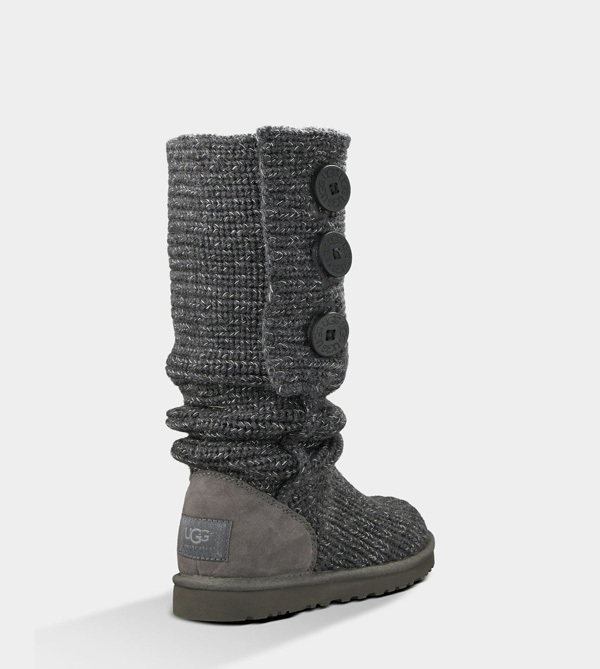 Approximate boot shaft height: 15 "